Discussion in 'Wage and Hour, Overtime' started by Brent Edington, Feb 12, 2019. Hello. I was recently hired as an hourly contract employee in an engineering manager role. In this role I am expected to travel, work from home at times, and have conference calls with other employees (and some of my reports) in Asia. Since the company required hourly employees to clock in and out via ADP while physically at work, this was clearly not going to work. Therefore, I was changed to salary within 72 hours of starting the new job. Now I'm working long hours (45-50 / week) for no OT since I'm salary, but do not get any benefits, including time off. It seems odd that I get paid a flat rate for working 50 hours a week, but less if I work less than 40. I've had many contract employees in the past, and they've always been hourly and have worked for a different company who billed us for their time. I seem to be in some strange in between state where I'm a salaried employee but not, and am getting the worst of both worlds - no OT, no benefits, and long hours. Is this legal? Your situation is NOT illegal. However, if you find the conditions distasteful and the pay paltry, you're allowed to "walk away"! Slavery has been outlawed for almost 150 years. Assuming that you are truly an independent contractor and not an employee then it is legal. 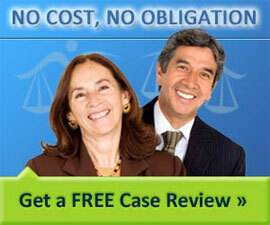 You and your client can agree on pretty much any compensation arrangement you want. The law does not mandate any minimum pay or benefits for independent contractors or regulate much how independent contractors are paid. You can have a contract and still be an employee and it smells like you are an employee whether you are hourly or salary. However, you may be exempt from overtime based on your position and salary. As for benefits and time off that's something you could have negotiated before taking the job and might still be able to if your services are valuable enough to your employer.